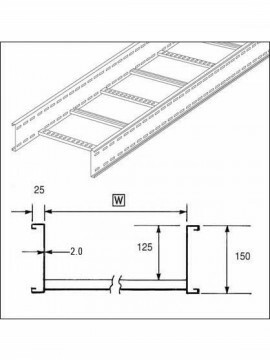 Cable Ladder with side height of 150mm. Available in widths of 150-900mm and in lengths of 3m or 6m. Other widths can be made to order. Standard finish is HDG.